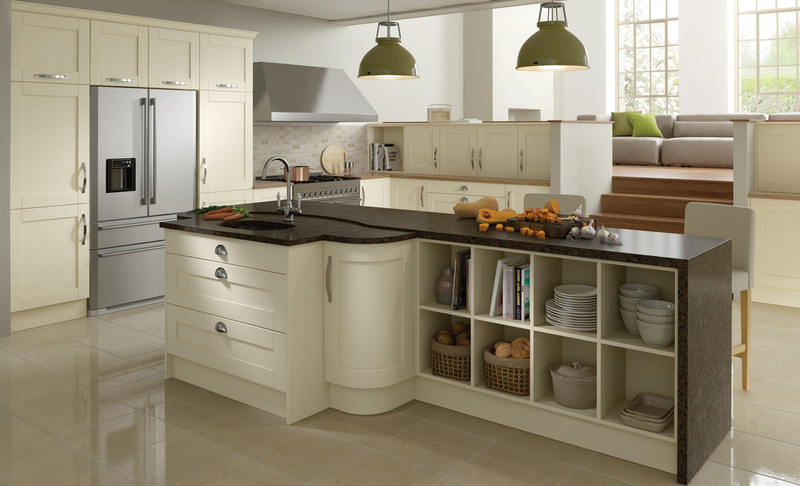 Open shelves lend a spacious feel and curved doors are both attractive and highly practical features in a Madison kitchen. The luxurious finish of the Madison door adds a sophisticated edge for those wanting their kitchen to exude true excellence. The handle should do the same, choose a polished chrome pull handle to complete the look.